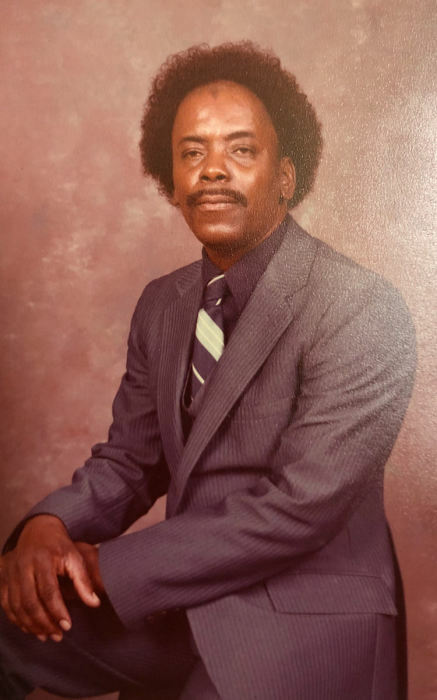 Obituary for Henry Evans | King-Tears Mortuary, Inc.
Henry Lee Evans was born June 14, 1940 in Flatonia, Texas to Henry Evans, Sr. and Winnie Morton. He was raised in a Christian home and attended the A.M.E. church. Henry was married to Lois Evans on November 20, 1959 and was the father of two children, daughter Delores Evans-Hill and son Henry Evans, Jr. He was the grandfather to three grandchildren, Desiree Evans, Michael Hill and Michelle Hill. He was preceded in death by his parents, Henry Evans, Sr. and Winnie Morton Evans; three brothers, Roy Lee Evans, Willie Evans, Daniel Evans and one sister Elizabeth Smith. Henry leaves to cherish his memory his wife Lois Evans; two children; three grandchildren; four great grandchildren and one sister, Irish Smith of Austin, Texas. He also leaves behind a host of nieces, nephews and friends.